Ball Heating and Air is here for your everyday heating and AC needs. Call Ball, That’s All! (228) 273-1511. From installation to maintenance and tune-ups, we have what you need to meet your comfort. Looking to save? We’re always offering great specials to help you keep some extra money in your pocket. We’re always looking for ways to help get useful information to our customers. Check here for our latest updates! Ball Heating and Air is dedicated to improving the quality of life for our customers on the MS Gulf Coast every day. We do this by establishing and maintaining the industry standard for excellence in sales and service. We are a professional organization focused on service and we are committed to fulfilling our customer’s needs and exceeding customer expectations. Since 1964, Ball Heating & Air Conditioning has aimed to be the top heating and air conditioning company in Biloxi and the surrounding areas. Our skilled technicians provide excellent repair service and work on all makes and models of heating and air conditioning systems. You can trust our dependable technicians to take care of part of your HVAC system, from air handlers to heat pumps to air conditioner units. You can trust us to take care of your heating and cooling system because we want your home to be comfortable, safe and healthy for you all year long. The warm and humid environment of Biloxi means your air conditioner takes on heavy workload during the summer months. We recommend an annual spring maintenance visit in order to make sure the system is ready to cool your home. When you’re ready to upgrade your AC unit, install quality air conditioning equipment made by Lennox and other manufacturers. If your AC unit is more than 10 years old or no longer effectively cools your home, replacing it is a good idea. At Ball Heating & Air Conditioning of Biloxi, we recommend a maintenance visit in late autumn in order to ensure that your heating system will be ready to keep your home warm during the winter months of the year. Our maintenance services include checking system pressure levels, inspecting all hoses and connections, and testing all electrical and mechanical components. We also offer quality installation services if your heating system no longer works properly. In addition to providing you with heating and air conditioning maintenance, repairs, installations and replacements, we also offer preventive maintenance agreements, access to online service manuals and energy-saving tips and advice. Our skilled technicians also install programmable thermostats and perform home energy audits throughout the area. With our 100% satisfaction guarantee, we’re the most trusted heating and cooling company in the Biloxi area! 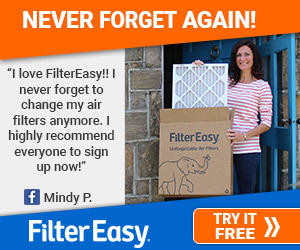 “So happy with Brandon and the way he took care of our air needs! I have 2 kids under 5 and he made it fast and easy! “Very professional staff they arrived on time and finished the installation quickly very clean and respectful techs! Copyright 2019. Ball Heating & Air Conditioning Website designed and maintained by Odom Creative. Internet Marketing by RYNO Strategic Solutions.